Finally got your FICO score up? Now you can start looking into the best looking credit cards with rewards. There are many reasons to have a credit card. You may want to build or maintain good credit. You may have a big purchase you need to make now but don’t have the cash for at the moment. But some of the most fun reasons for using a credit card are the rewards. You can earn all types of rewards using the right card. The best-looking credit cards earn discounts on preferred hotels, free miles on preferred airlines, and even discounts on basic necessities like groceries and gas. Not all credit cards are created equal, and that is especially true when it comes to the rewards they offer. We were curious about how the best credit cards for rewards stacked up against each other, so we ran some comparisons to find the cream of the crop. 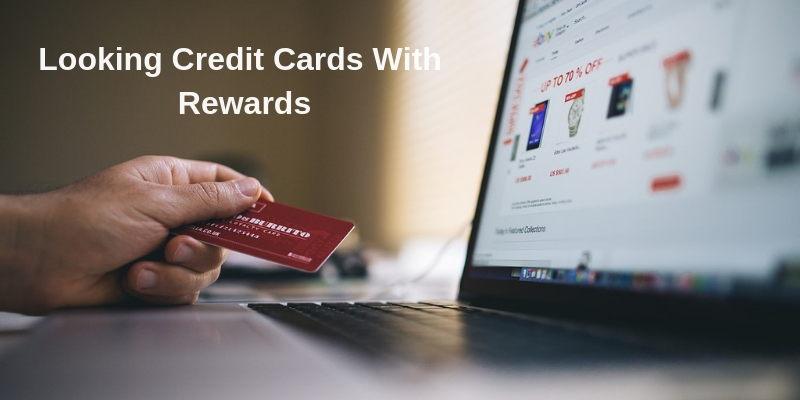 Keep reading to find the very best credit cards for rewards in various categories. The absolute best credit cards offer rewards across multiple categories. You can earn miles, get discounts on hotels, and earn cash back, all on the same card. If you have excellent credit, you will see options laid out before you that seem practically unlimited. Not everyone has excellent credit, though. Even some people who do prefer to focus their credit card rewards in one specific area. That is why we have selected only four cards for this list, separated by the categories of the rewards in which they excel. Those categories are cash back, hotel rewards, air travel rewards, and dining and entertainment rewards. Find the card that fits your preference below. Cash back is one of the purest forms of earning money with a credit card, and the Blue Cash Preferred card from American Express offers plenty of it. If you spend $1,000 on your Blue Cash Preferred card within your first three months, American Express gives you a $200 statement credit. After that, you get 6% cash back on up to $6,000 of groceries at various supermarkets in the United States. You also get 3% cash back at gas stations and 1% cash back on all other purchases. When it comes to hotel rewards and the air travel rewards we talk about below, it is best to pick a hotel and airline and show loyalty. We are highlighting this Marriott card for those who do not already have allegiances. The best part of the Marriott Bonvoy Boundless card is the annual free night’s stay. You will also earn six points per dollar you spend at participating hotels and two points per dollar on all other purchases. Plus, these points are unlimited. Delta is a dependable airline, which is one of the reasons we recommend this card. A Spirit Airlines card would not have the same sheen, no matter how many free miles it came with. Speaking of miles, you get 30,000 bonus miles on your Gold Delta SkyMiles when you spend $1,000 within your first three months. After that, you get two miles per dollar on Delta purchases and one mile per dollar on every other purchase. With this card, Delta waives the fee for your first checked bag, and you get Main Cabin 1 priority boarding status. Capital One outdid themselves with the variety they included on the Savor Rewards card. There is a cash back bonus of $500 when you spend $3,000 within your first three months. Then, you can earn cash back on dining and entertainment, groceries, and tickets to events. The dining and entertainment purchases come with 4% cash back, and the tickets through Vivid Seats earn 8% cash back. We hope you’ve enjoyed this glimpse of the best-looking credit cards when it comes to various rewards. There are plenty more types of rewards to earn, and hopefully, this guide inspires further exploration. You do not have to spend money on a credit card to save money, though. You can save money just by following our savings tips.